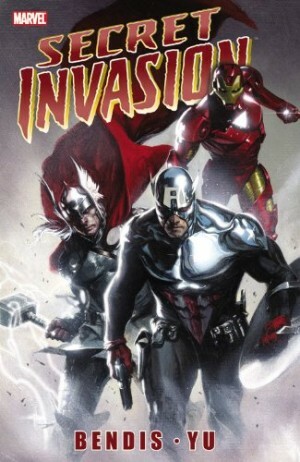 There’s a very good idea behind Secret Invasion. 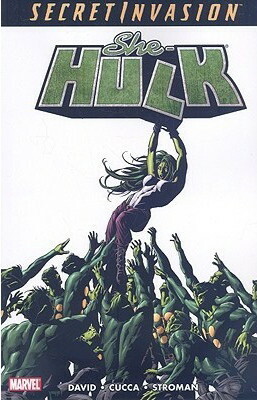 The Skrulls were the first aliens introduced to the Marvel universe in the opening issues of the Fantastic Four. Very distinctive with their bulging eyes, cleft chins and green skin, they also had the means to render themselves all-but undetectable as they were shape changers. So, what if the Skrulls have been abducting people of influence on Earth and replacing them, waiting for a moment to strike? And what if this has been going on for years? See? Good idea, and Brian Michael Bendis had been seeding the plot for a couple of years, going back to his earliest days re-booting the Avengers. There are a lot more good ideas here, but unfortunately, the execution fails to match the concept. It’s padded by far too many pages of big fight scenes that lose their impact if read in isolation as part of this collection rather than as part of an ongoing story rolling out on a month by month basis over pretty well every Marvel title. Too many items are introduced, only to play out elsewhere, such as the interesting appearance of the long dead Captain Marvel or the concept of this being a religion-based invasion. The marketing department wants to ensure you buy as many of the tie-ins as you can to acquire the complete picture, but it leaves those just buying the core volume short changed. 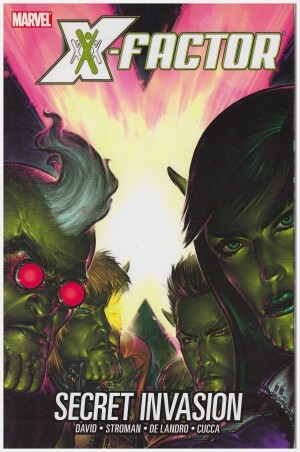 The absolute best aspect is the tension created by no-one knowing who might be a Skrull, as the Skrulls have made sure to disable the greatest superhero minds on the planet, the type of guys like Mr Fantastic and Iron Man, who might whip together a Skrull detector from a cellphone. 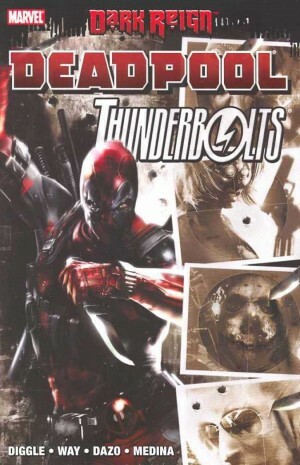 Early in the book a whole platoon of superheroes are lured to one of the remotest areas on the planet to ensure they’re well away from the action, where they meet another platoon of characters who may be folk who’ve been missing for some while. Or they may be Skrull imposters. Bendis spins out that conundrum very well over several chapters, then cleverly reprises it toward the end. Artist Leinil Francis Yu has those big action scenes down pat, creating the necessary scale and awe to convey them effectively, and he packs his spreads with dozens of characters facing off against each other. When it comes to the cast, though, he’s opted for jagged, angular distortions with gritted teeth that are far from appealing. As this is an EVENT someone has to cop it. Yawn. The manner is imaginative, but Bendis could do better here, although he rectified matters several years later, and he restored some presumed to be deceased. Including Elvis. 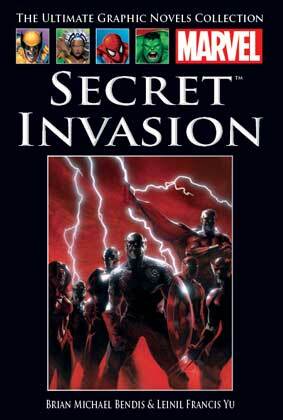 Secret Invasion frustrates because had it been prioritised as a story rather than a marketing exercise it could have been so much better. Not that this was any concern to Marvel, as the final pages move straight into plugging the next crossover. 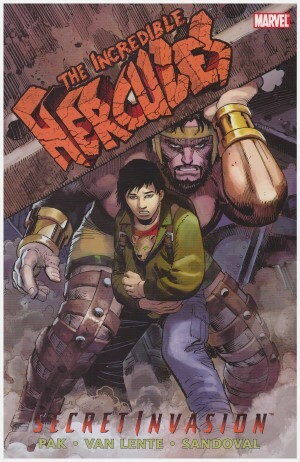 In the UK this was also available as part of Hachette’s partwork series The Ultimate Graphic Novels Collection.